Our boy Bailrok has been busy not only in 2012 but these first two months of 2013. In a year where it seems these youngsters in all styles of dance are making giant leaps (i.e. Lil Demon, Justen, and Baby Boogaloo), Bailrok shares in the success of these up and coming kids. 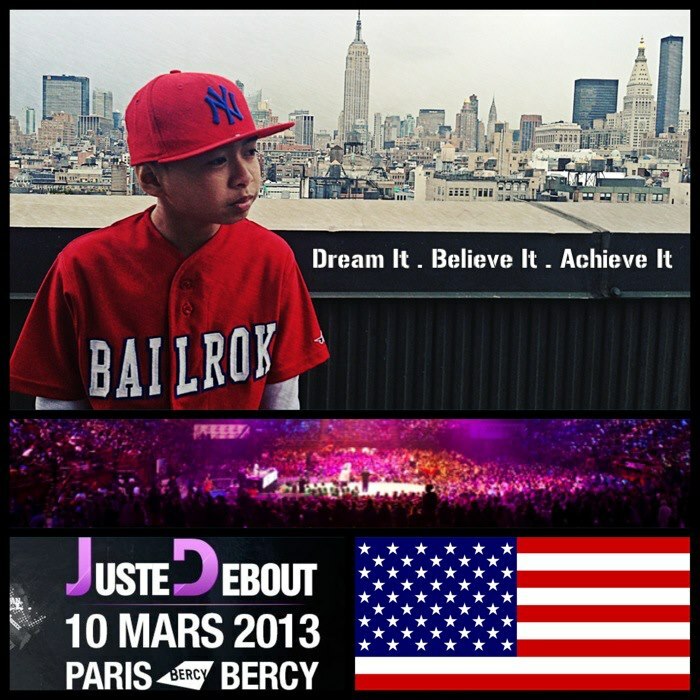 Just in January this year Bailrok has won Juste Debout USA Toprock earning him a ticket to the finals in Paris in March. Along with winning Juste Debout USA Toprock battle, Bailrok filmed a dope promo with Yak Films in New York City, which also features Larry from Les Twins and Bruce Blanchard of Kobo Power. From the Master Culture blog Bailrok said, “This year I wanted to try to qualify in New York City to represent USA. I knew going in that it was going to be one of the toughest battles I have entered but my goal when I entered the battle is to show my love of dance, my love of music and to have FUN. I enter battles Always A Student, to learn and grow from the experience. Bailrok continued to keep busy throughout January and February traveling to Seattle to hang with his crew mate, Jeromeskee and the new Massive Monkees dance studio. Not only did Bailrok also travel to Vancouver with his crew but he keeps busy with projects like the MAGIC show in Las Vegas and much more coming soon. Among all this success, Bailrok remains a humble example to kids, youth, and adults living by the motto: Dream It. Believe It. Achieve It. Having interacted with his parents and Bailrok in recent months, it’s been a great experience to see how humble, devoted, and passionate they have been! Make sure to keep up to date with Bailrok on the social media’s below!